Google Trusted Photographers shoot 360 Virtual Tour for St Albans based Garden Centre. Based in St Albans, Aylett Nurseries Garden Centre is a wonderful, magical world as much as it’s a garden centre. It is quite easy to get blissfully lost in any of the fabulous areas. Perfect for a 360 Virtual Tour! Aylett Nurseries was set up by Roger Aylett in 1955 on the same site, when he was just 21. 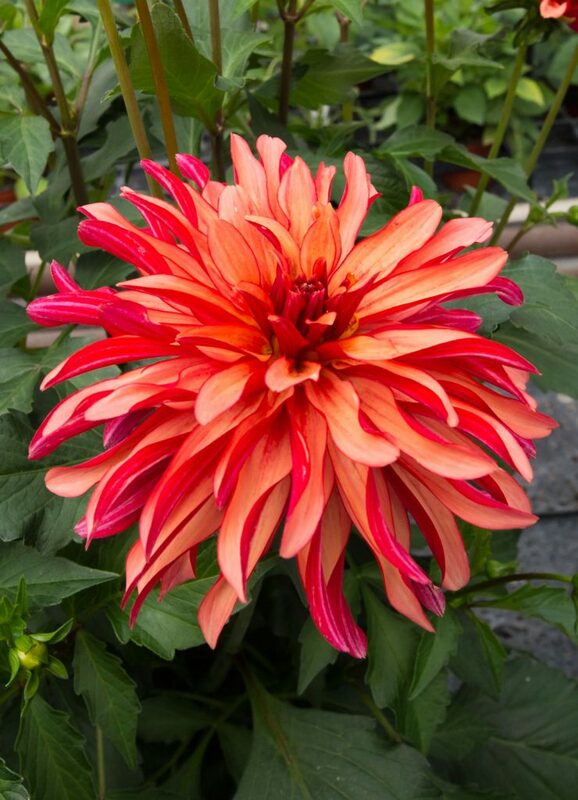 Roger’s passion from childhood was dahlias, and Ayletts quickly became renowned for it’s stunning dahlia exhibits, winning numerous awards including 36 consecutive Gold Medals between 1961 and 1999 at the Royal Horticultural Society shows. Sadly Roger Aylett passed away in May 2010, but his legacy lives on. The business is still family-run, with Roger’s daughter Julie at the helm, and people come from from far and wide to see the famous dahlia field. Striking Places’ story with Aylett Nurseries began at The Business Network South Herts. This is a marvelous networking organisation set up by Sharon Sacofsky two years ago. Since then it has steadily grown under her leadership, attracting lots of senior decision makers. It now has 50 to 60 people at each event, and whilst it is very business orientated, it also has a relaxed and friendly atmosphere. As a local Google Trusted Photographer, Jo Hailey, representing Striking Places, began attending the monthly lunchtime meetings back in December 2014. It was there she first met Andrew Wilks, owner and driving force behind Parker Wilks Marketing. At that time Parker Wilks Marketing were working on the Aylett Nurseries website. Jo gave her 2 – 3 minute chat about what she did as a Google Trusted Photographer, and later that day Andrew Wilks contacted her, thinking that a Google Street View Trusted Tour could be just the thing to enrich the Ayletts Nurseries website and online presence. Jo was really excited when she heard who it was for. As a local, Jo has spent a great deal of time at Ayletts over the years. Many happy hours have been spent there with the whole family, and plants from Ayletts fill her garden. Obviously Ayletts is a huge area – 7 ½ acres! – and piecing together the whole tour takes a lot of time and more than one visit to the centre. Julie Aylett takes up the story. Given the size of the garden centre and how seasonal some of its wares and displays are, it was decided it was perfect for an interactive overlay tool, TourDash. TourDash enables us to create a content menu of the tour to make it more navigable for customers. Visitors can jump from one part of the tour to another by selecting the relevant area. The Aylett dahlia field is a perfect example of this. The dahlias come into bloom in late August, and the field is open to the public from August until the first frosts. It was decided the tour of the dahlia field should be an interactive overlay that could feature in the menu navigation at the appropriate time of year. In order to complete this successfully we made a note of where the last panorama was for the existing tour and then, as you can see, opened the gates out to go across the gorgeous Dahlia field and then continue on to the lovely new herbaceous garden at the back. We also shot a couple of panoramas standing on the picnic tables in front of the dahlia field just to get high enough so website visitors viewing the tour can see the vast array of dahlia varieties in bloom.